Cortisol is a hormone your body releases when you’re under stress. It is often called the “stress hormone” because of its connection to the stress response. However, cortisol is much more than just a hormone released during stress. It plays many important biological functions in the body. Along with helping the body to respond to psychological and physiological stress, cortisol also plays a key role in other functions, including how your body breaks down carbohydrates, lipids, and proteins. Cortisol is made by your adrenal glands, two small glands that sit on top of your kidneys. Cortisol can help control blood sugar levels, regulate metabolism, reduce inflammation, and assist with memory formulation. Healthy cortisol levels also assist with controlling salt and water balance, which helps maintain proper blood pressure, optimal nerve and brain activity and memory formulation, and normal heart and immune functions. In women, cortisol also supports the developing fetus during pregnancy. All of these functions make cortisol a crucial hormone to protect overall health and well-being. Cortisol is an “Alpha” hormone, and it affects virtually every other hormone in the body. Too much cortisol causes increased appetite, poor blood sugar control, and excessive fat storage, in particular, belly fat1. With above normal cortisol level it is much harder to lose weight even with the “perfect” diet and exercise program. Worse yet, cortisol also reduces the body’s ability to process amino acids and build muscle. Cortisol excess can inhibit growth hormone (a fat-burning hormone) levels by stimulating the release of growth-hormone antagonists—all bad news for the bodybuilder. 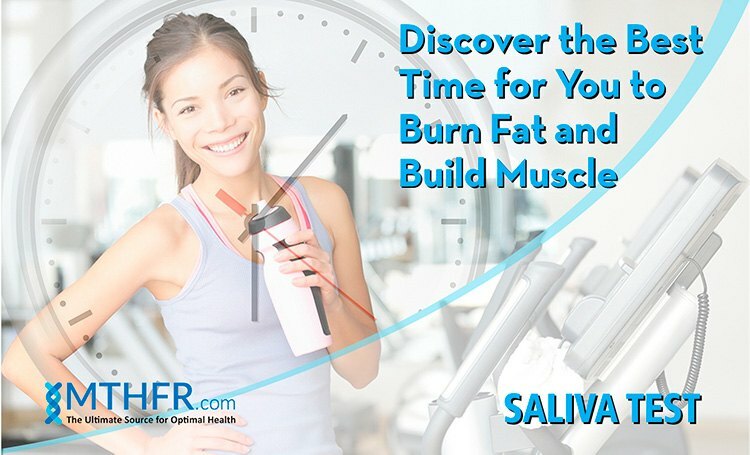 To determine the best time for you to burn fat and build muscle, the saliva test is the best option because it can show an abnormal rhythm of cortisol levels. Cortisol follows a circadian rhythm and fluctuates during the day. In addition to total cortisol levels, if you do the four-times-per-day saliva test you will discover your levels at specific times of the day, providing you with the best and worse times to burn fat and build muscle. Cortisol is a fat-storing hormone. Hard exercise, especially weight lifting, raises cortisol levels. Therefore, it is extremely important to know if you have excess cortisol at a particular time of day because if you exercise strenuously at a time when your cortisol levels are above normal, it will be harder for you to burn fat and build muscle. When weight loss or muscle building is your goal, the best times to exercise are either when your cortisol level is normal or below normal. Your ability to handle stress is directly related to your cortisol levels. An excess cortisol level may cause you to overreact to stressful situations. Cortisol has an effect on energy levels. 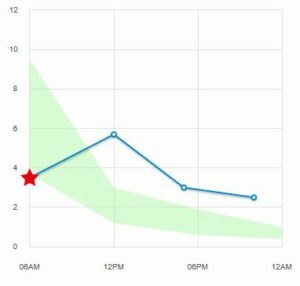 People who always have low energy levels at a particular time of day may have below-normal cortisol levels at that time. Although there are various other reasons for low energy or fatigue, low cortisol is one of the possibilities. Sleep issues have many causes and often are the result of a combination of factors. Cortisol is one of them, and it may also affect your ability to fall sleep. A higher than normal cortisol level before .